Lately Miami has had me frustrated. Traffic, endless construction sites on Miami Beach, tourists driving mapless — and hapless — around my ‘hood. All testing my patience. Time for a reboot. Time to go fishing! We headed out east of Haulover Inlet, looking for sailfish. After a couple hours of three- to five-foot waves, the sea laid down as flat as a lake. 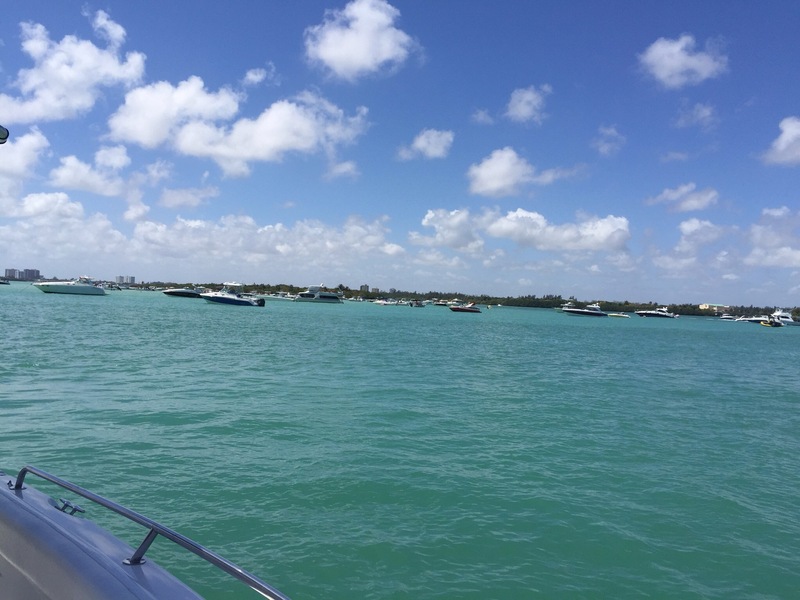 The sky was bright blue, and, thanks to a Miami “cold front”, there were very few boats out. My boyfriend, a fishing captain for more than three decades, showed me how to rig a ballyhoo. It was more intricate than I’d imagined. Twisting the wire around the tiny ballyhoo’s bill, getting it balanced so that the bait “swam” just right when it went into the water to lure the big fish. We had five rods ready to go. I munched on tortilla chips and salsa, trying not to dump the salsa over in the pitching waves. My boyfriend watched the baits bouncing behind the boat. We followed a line of seaweed, knowing that a weed line attracts fish. There was no catch of the day, but it didn’t matter. The cool ocean breeze, the views of the Miami skyline and the bliss of being out on the water were more than enough to change my state of mind.